With regards to our recent order with you, the plates have been collected thank you. I would just like to thank you for the great service and the quality of the product we received. The plates are looking great. I wanted to just flick you a quick email thank you to show my appreciation for getting this job knocked over for me nice and fast. It was supplied exactly as I needed and worked well, client is happy, please pass on my thanks to all involved. Just want to say a HUGE thankyou from everyone in the Construction and Art Department here, I have been giving everyone blow by blow updates on the frantic progress of the sets we are trying to achieve and you are a dream to work with! We are so grateful to you and your team for going the extra mile for us to make the impossible – slightly more possible. Laws Laser understand the sign business and are an essential part of the Albert Smith Signs production / manufacturing process. We have worked together for over ten years and I have found them professional and helpful in every way. Design is our strength at A Sign Design and we use a wide variety of materials to achieve the unique designs we offer our customers. Laws Laser provide support for this through their capacity to cut and finish multiple materials and shapes to achieve our design objectives. We have been working hand in hand with Laws Laser for over 30 years since they pioneered laser cutting in Queensland. Laws Laser are a family business which combines technical competence with an innovative and helpful attitude. We have a passion for creating quality, effective signage that is artistic and is made to last…. We use Laws Laser exclusively for our Laser Cut components because their work ethic and eye for detail reflect our own, we know that they will not let us down. 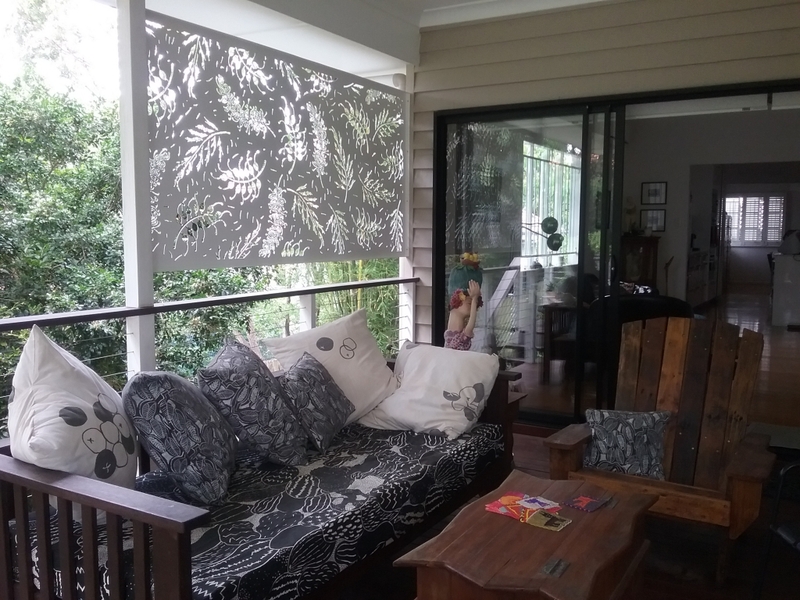 Just wanted to let you know how much we love our screens and what great feedback we have had from a heap of facebook friends who have seen them! Hope we can send some business you way since it has been an absolute pleasure dealing with you and the rest if the staff at Laws Laser! Laws Laser provides a great, hassle-free service that supports our production scheduling. Laws provide us with laser cut screens in a wide variety of designs and materials, including Aluminum, Weathertex, Wood and CorTen. Their quality of finish is excellent. Laws Laser are a well-established and trustworthy, family business and are easy to deal with. Urban Art Projects use Laws Laser for a wide variety of urban projects from streetscape furniture to decorative screens and talking point sculptures.Their quality of work is excellent; they are innovative and able to translate artistic concepts into finished components /structures. Geoff and his team at Laws Laser are always helpful and straightforward. You feel you are being treated as a friend, not just a number.